All Americans are empowered to make wise healthcare decisions and wellness choices. Educating American to create a culture of health and wellness. What Is NAHU’S Education Foundation?The NAHU Education Foundation is a 501(c)(3) nonprofit organization that helps the public stay informed about the public and private health insurance options available to them. The foundation creates educational materials for the American public about private health insurance options, whether consumers are buying health insurance coverage on their own, purchasing coverage through the exchange or signing up for a plan through their employer. The foundation also assists those needing coverage who may be eligible for public programs like Medicare, Medicaid or children’s health insurance programs. We proudly serve as a direct resource of fact-based information for the general public, employers, policymakers, think tanks and others who are concerned about healthcare, health insurance and various options for the American public. The foundation has always recognized the great need for people to know where to look for the best health insurance options. We recommend that people begin this search by finding a qualified health insurance agent or broker. To find a local agent, the public can access NAHU’s “Find an Agent” feature at www.nahu.org. NAHU members adhere to a strict code of ethics. In addition to our web-based tools and resources, the NAHU Education Foundation has a series of short videos designed to educate the American public about wellness, prevention and the cost of healthcare services. These materials are used in a variety of venues from employer settings to frequently accessed media and social networking outlets. This initiative is important in addressing the critical issues associated with health, wellness and the cost of healthcare. In addition to videos, we have printed materials to help non-technology–savvy consumers, English learners and others understand the various aspects of health insurance. Outreach to the American public is an important part of the NAHU Education Foundation mission. Recent campaigns have offered assistance to seniors who are newly eligible for Medicare and those who have lost health insurance coverage during the economic downturn. Our newest outreach project provides resources on healthy lifestyles and care packages to underprivileged families in communities all over the United States. 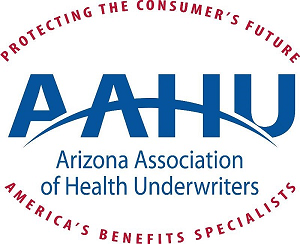 The National Association of Heath Underwriters was formed during the Great Depression in 1930 and now represents over 100,000 licensed agents and brokers that have agreed to improve the ability of the public to access the most affordable healthcare. In 1980, NAHU recognized that there was a great need for the public to understand health insurance coverage options and how wellness can aide in the affordability of that coverage. It was determined that a 501(c)(3) would be the most effective way to accomplish this goal, and the NAHU Education Foundation was formed.